We now reach the Marvel Cinematic Universe version of my all-time favourite superhero. Yes, Road to Infinity War is now at Spider-Man Homecoming. I’m still undecided to be honest, as I’ve only seen Black Panther once I’m not quite confident enough to make that call, frustratingly it doesn’t get released on Blu-Ray / DVD until after Avengers Infinity War is released. 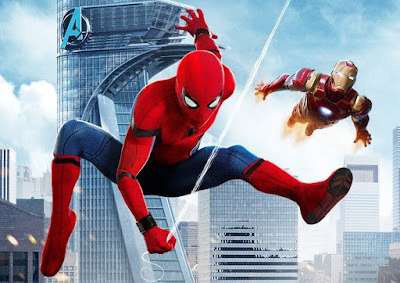 Either way, re-watching Spider-Man Homecoming did re-affirm my original thoughts - in short I love this movie. Of the 3 actors who have played the character, Tom Holland is the best Peter Parker / Spider-Man. I never really warmed to Tobey Maguire (he was always a bit too dorky for me), however I did really like Andrew Garfield in role as a result of his charisma and acting style. Yet, Tom Holland ranks number 1 for me. Micheal Keaton as Adrian Toomes / Vulture is one of the best villains in the MCU. His motivation are relatable, and his story organically fits within the narrative of the over-arching story. I think it’s a genius idea to have the prologue of the movie essentially be the Vulture’s origin, as then it doesn’t bog down and feel forced into the rest of the film. 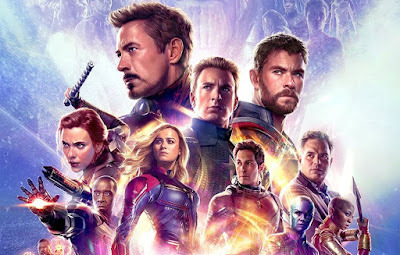 The rest of the cast are all great and ties in to the wider MCU work perfectly. What really stood out for me whilst watching Homecoming this time, was how Marvel Studios mixed up the position of the action sequences. Whereas most MCU movies see they’re big spectacle in the 3rd act, the two main set-pieces (Washington Monument and Statton Ferry) happen in the 2nd act (and actually within about 5 minutes of each other). The final act obviously still features a cargo plane crashing, but as a result of Peter losing the Stark enhanced suit (and using his home made one), this feels more intimate and like a sequence that would usually be earlier in a origin/solo movie. Thematically it makes sense however, as it proves Peter is still a hero without the suit. What more can I say, I love this film and in my opinion it is the best Spider-Man movie ever made. Written by @RossBishop for MoviePush. Follow Ross on Twitter.